38,390 km/h were what was needed for victory over the 3351 kilometers and 44.465 meters of elevation gain of the Tour de France in 2018. This figure, speed, is what defines a cyclist's performance in a race, which makes it the ultimate goal for anyone who competes. But what determines a cyclist's speed? 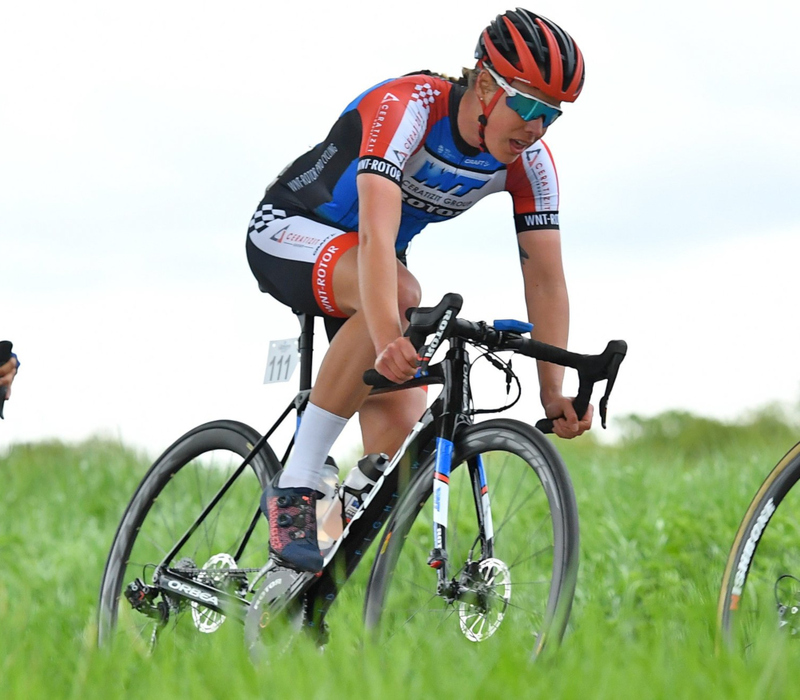 Obviously, it involves riding smart and having a good race strategy, but the factor that has been shown to determine a cyclist's performance is the watt/kilo ratio or the relative power. This refers to the power the rider is able to generate with the least possible body weight. The more watts the cyclist is capable of generating, with the least weight and for the longest time, the better his or her performance will be. When we talk about the characteristics of a bicycle, we normally consider 3 relevant factors: aerodynamics, weight and rigidity. But what is really important about these three factors? Are they each equally important? Which is the most important? The truth is that it is impossible to maximize all three of these variables when designing a road bike. For example, if we want to maximize aerodynamics, we would need long, narrow shapes, which is the opposite of what we would need for greater rigidity. On the other hand, to obtain rigidity we would need to increase the number of layers of carbon, which would add to the weight. Which are used by around 75% of the riders in all types of conditions. These bikes prioritize rigidity and weight over traction, smoothness and aerodynamics. Endurance models are ridden by cyclists in very specific circumstances; they prioritize traction and the absorption of irregularities for long stages with complicated terrain, such as Paris-Roubaix. These models target “smoothness”. Aero bicycles are ridden by around 20%-25% of the cyclists. These are beneficial in very specific situations, such as when leading the peloton on flat land. The approach is completely geared towards aerodynamics, sacrificing weight, and in particular, rigidity. 1. Not wasting a single watt generated by the cyclist, transferring all the power to the rear wheel. This is accomplished through the proper management of the rigidity. 2. Not adding a gram more than the minimum 6.8 kg mandated by the UCI. 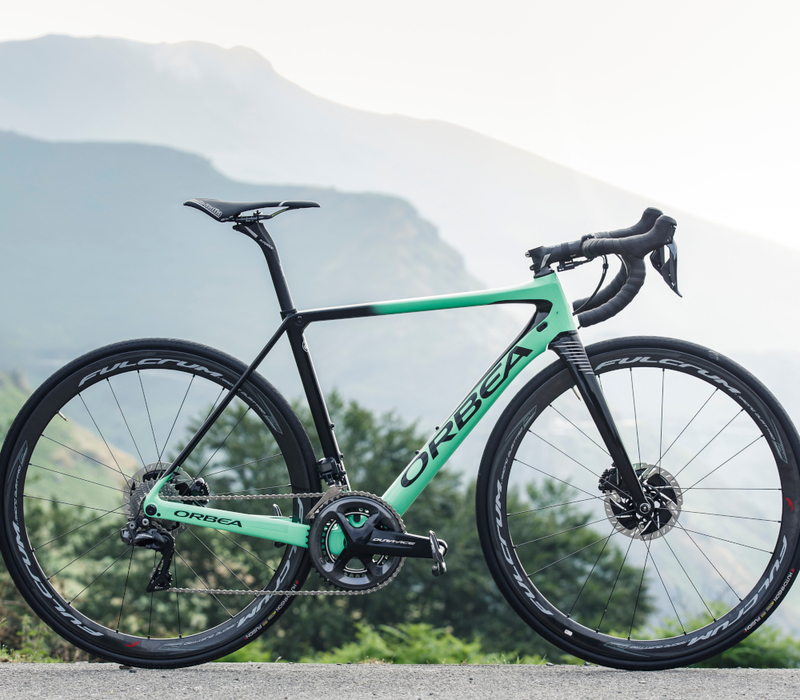 In this sense, the most logical option to choose for a bike to practice and compete with in road cycling is a bicycle that maximizes rigidity/weight, since it applies the relative power philosophy to the bike. 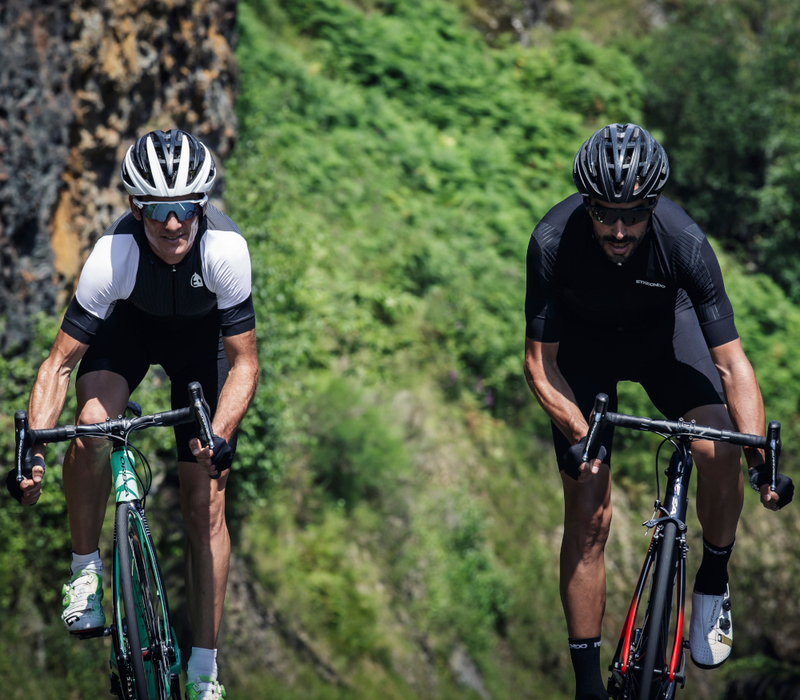 Under certain specific circumstances, such as when leading the pack on completely flat land where you are exposed to the wind, the aerodynamics factor becomes more important. This is why time-trial bikes prioritize the aerodynamic factor over weight and rigidity. But when we are talking about road cycling, where drafting is allowed and there are variations in terrain and altitude, the preference changes. We also always have the option of varying the profile of the wheels to adapt the bike to the profile of the stage. Different studies show that in a peloton traveling wheel to wheel, we save 60W at 30km/h, 120W at 40km/h and 200W at 50km/h. Furthermore, with a 5% increase in power, we would need 60 minutes on flat land to gain the same advantage that we would achieve in 30 minutes in a mountain pass. Even if a race ends in a sprint, where it is really decided is on the climbs, like the Poggio or the Cipressa in the Milan-San Remo. During the sprint itself, we will also need frame rigidity more than we do than aerodynamics; since it is a time of maximum power, where the bike, far from remaining static, moves as the result of different stresses affecting it, through both the pedals and the arms. It is crucial to avoid wasting a single one of those watts. Rigidity is what ensures that all the power from the cyclist is converted into movement. To do this, two conditions must be met: the frame must not waste the energy that is generated and transfer it in its entirety to the rear wheel, and said wheel must always be in contact with the asphalt. Torsional or global rigidity is related to the first condition, while vertical rigidity management is important in terms of the second. Where torsional rigidity is concerned, the ideal would be for the bike to be as rigid as possible, while for vertical rigidity we need to modulate that same rigidity so that the wheel has the proper traction with the asphalt over all kinds of terrain. For example, an aluminum bar will be more effective as a lever than a wood one, since it suffers less deformation; but when we drop the aluminum on the ground, it bounces, while wood bounces less, maintaining contact with the ground. Knowing how rigidity is conditioned by the shape of the tubes is essential for its proper management, but this knowledge is useless if it is not correctly applied to the different areas of the frame. To do this, we will need to detect the areas of the frame that have the greatest effect on the transmission of power and those that affect it the least, using the former to maximize rigidity and the latter to improve “smoothness” or traction. There are two main points where the cyclist exerts force: the bottom bracket, since the cyclist transmits power through the pedals and the cranks; and the handlebar area, which is where the rider is supported and will pull to launch the bicycle during an attack or sprint. This is why the shape of the tubes in areas like these, such as the bottom bracket, chainstays, diagonal tube, head tube and fork, are designed with the maximum possible rigidity, with larger, rounder tubes. 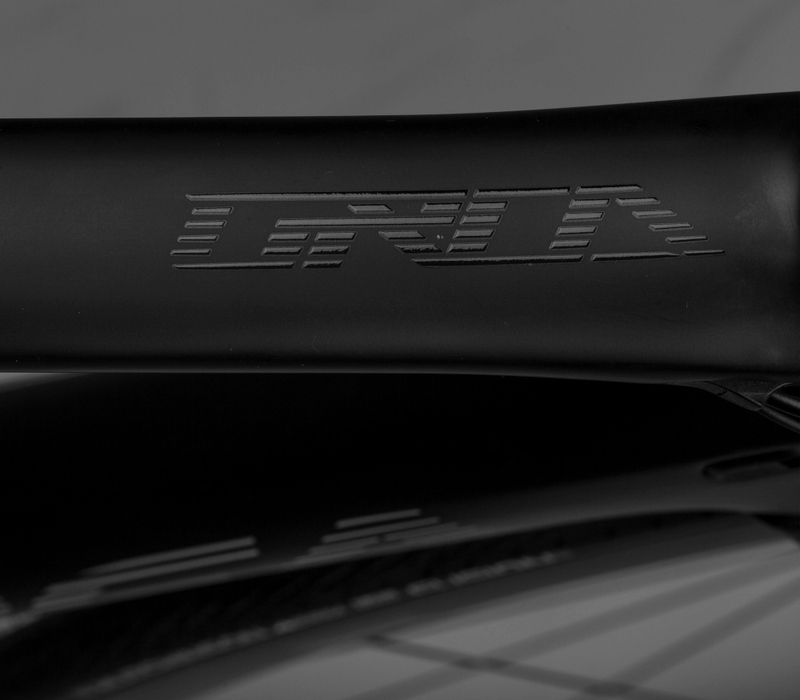 The areas of the seat tube, seat stays and the horizontal tube are those that have the greatest influence on improved traction. In this case, the tube design will not be geared towards maximizing rigidity, but rather towards modulating it, so that the bicycle has better traction on complicated terrain. We also need to know that tube shapes condition rigidity, understand how this works and apply this knowledge intelligently in our favor. In this regard, rounded shapes, with no edges, are the ones that provide the best rigidity results in the laboratory. This explains why shapes that promote aerodynamics, the ones with the sharpest edges, are the opposite of the rigid shapes. This means that we have to prioritize one of these two factors over the other when developing a road bicycle. Traditionally, weight and rigidity have also been considered aspects that are developed in opposition of one another, since we believed that the rigidity of a tube, besides being determined by its shape, was conditioned by the thickness of its walls, which made it heavier. However, it has been demonstrated that in addition to the tube wall thickness, the perimeter and diameter of the tube play a fundamental role. This enables us to achieve the same level of rigidity with a narrow tube that has very thick walls and one with a larger diameter, but very thin walls. The difference is that the tube with the larger diameter, besides giving us the necessary rigidity, allows us to save weight and therefore be more efficient and coherent with the watt/kilo philosophy. Data shows that weight is an extremely important factor, especially during a climb. On a 5% climb, over 20 minutes, if we manage to reduce the weight by 10 grams, we will save 0.16W. But if we manage to reduce it by 100 grams, we save 1.6 watts, and if it is 200 grams less, the savings are equivalent to 3.2 watts. At first glance, these differences might seem insignificant, but if we apply them to a prolonged effort of 20 minutes, they represent 15 seconds of difference, which could mean winning or losing a stage. However, there is sometimes a certain unbridled obsession with weight. 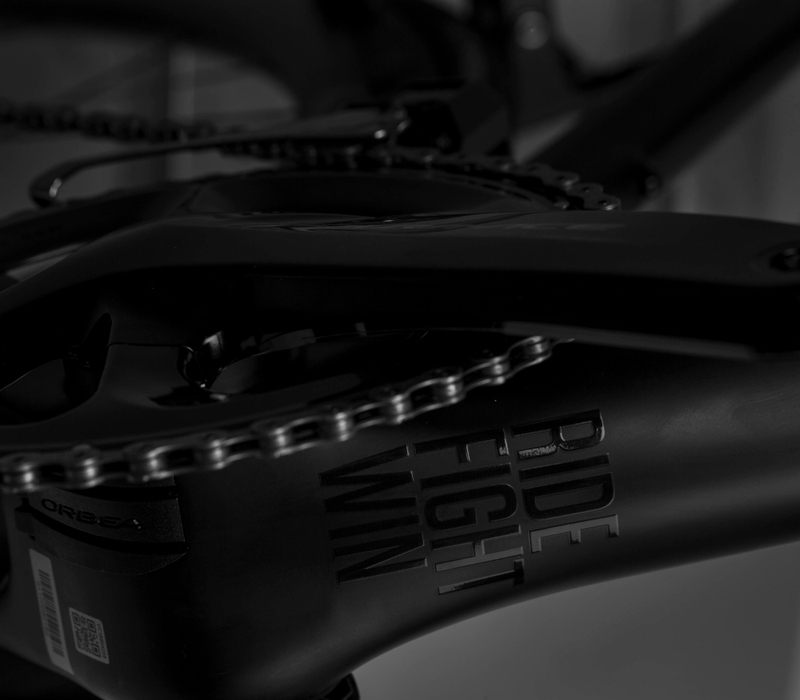 Many professional squad riders weight their bikes down with lead so that they reach the minimum weight of 6.8 kg. The logical thing to do in this case when designing a frame is to be sensible, to give the frame a weight that still gives us a margin to install a potentiometer and other accessories within those 6.8 kg, and taking advantage of those grams of lead for useful purposes, using them in the design of a larger bottom bracket, for example. 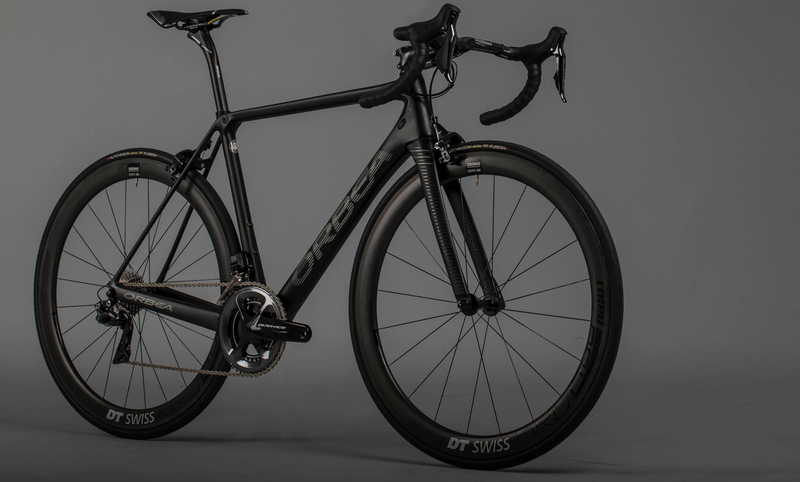 In the interests of clarity, it might be better to say that we have a bike that is under 5 kg; in terms of function, the 200 grams of difference there is in a frame will give us better efficiency if we take advantage of them to provide greater rigidity. We will primarily obtain better weight through the optimization of the tube shape, using rigid shapes with the fewest layers of carbon possible. Of course, all this occurs once we assume that we have the best combination of fiber and resin and the best frame construction process possible. 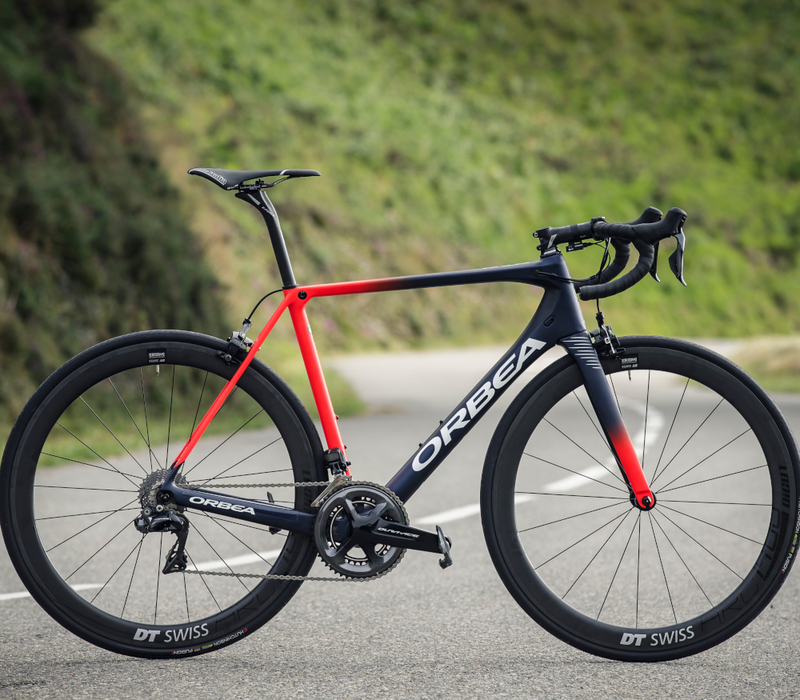 It is true that in terms of the specifications for a racing bike, the aerodynamic factor plays a very minor role. Development focused on rigidity/weight almost eliminates any possibility of developing aerodynamics, but it is worth it to ask whether there is any margin to obtain extra aerodynamics that would make it possible to improve overall efficiency. The challenge is basically to improve aerodynamics without compromising the tube shapes. In other words, to achieve better aerodynamics without using aerodynamic shapes. Generally speaking, the smaller the surface area of the bicycle is that is exposed to the air, the better the aerodynamic results will be. However, there is always room for an exception, as in the case of the fork area. If we position a stationary bike exposed to the air, a narrower fork will provide better aerodynamic results. Just the opposite, when a bike is moving, the movement of the front wheel generates a volume of air in the opposite direction of the bicycle that provides better results if we open up the fork, leaving space for the air flow to pass through. This benefit is more noticeable with larger front wheels. This enables us to improve the aerodynamic parameters without compromising rigidity or weight, and it also makes the bicycle more stable.